I've always liked the natural texture of cork. Fabulously neutral, it pairs perfectly with this season's bright colors and looks equally chic with your basic blacks and whites. Designers are finding all sorts of unique ways to use this renewable resource, adding it to hats, home decor and gadgets. 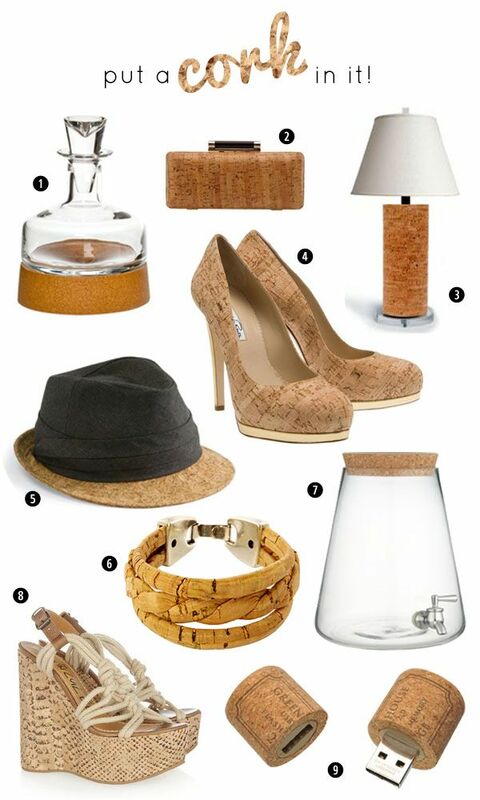 Two of my favorites are the chic fedora from San Diego Hat Company and the gorgeous Robyn Brooks lamp.